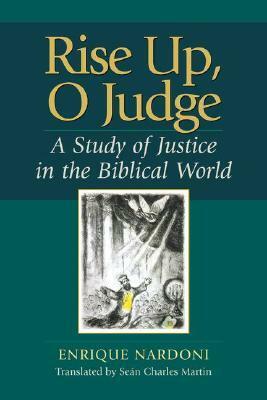 Available September 2002"Rise Up, O Judge" traces the roots of the biblical concept of social and liberating justice to the Mesopotamian culture and analyzes the development of justice through its different stages and within various environments and communities of the Old and New Testament. Enrique Nardoni reads the ancient and biblical texts in their own historical, socia Available September 2002"Rise Up, O Judge" traces the roots of the biblical concept of social and liberating justice to the Mesopotamian culture and analyzes the development of justice through its different stages and within various environments and communities of the Old and New Testament. Enrique Nardoni reads the ancient and biblical texts in their own historical, social, and intellectual context, but he also relates them to contemporary culture, where his readers are participants, not mere spectators. This study will serve as a resource for teaching and discussing the issue of social justice in universities, seminaries, and religious communities.